Green Mountain Grills has released new wi-fi grill models and restructured all grill pricing. The result – We have grills to sell at new pricing! 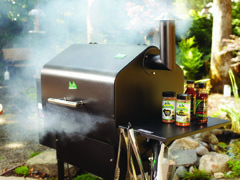 You have to see this pellet smoker to believe the amazing options and flavorful food.